WINK ZINGTM is finally here!!! Wink is an idea that evolved into a healthy way to enhance your attention to life. More is not always better, in fact, when it comes to ingesting any tupe of food or supplement for the reason of wanting better focus, and to be more alert, we have found that less is best. 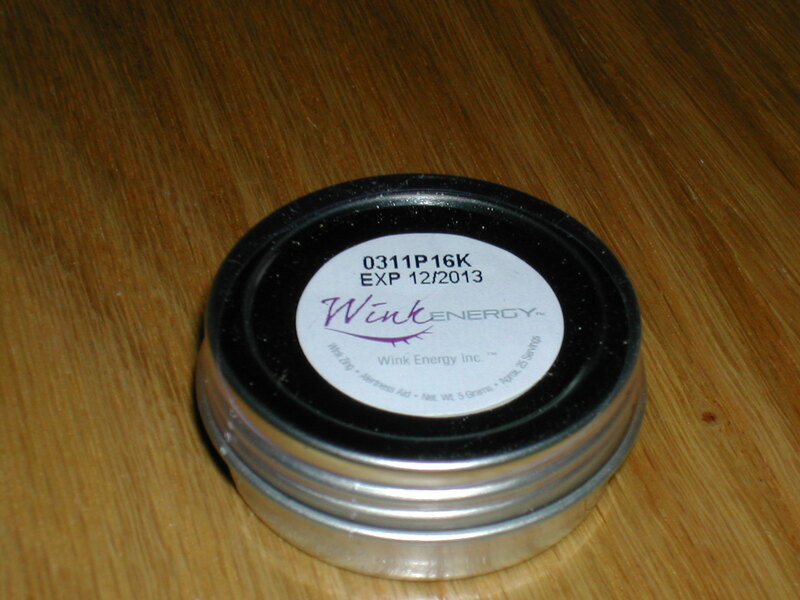 Wink Energy Powders give great healthy results with tiny amuonts of product. Wink Zing™ is our flagship product. 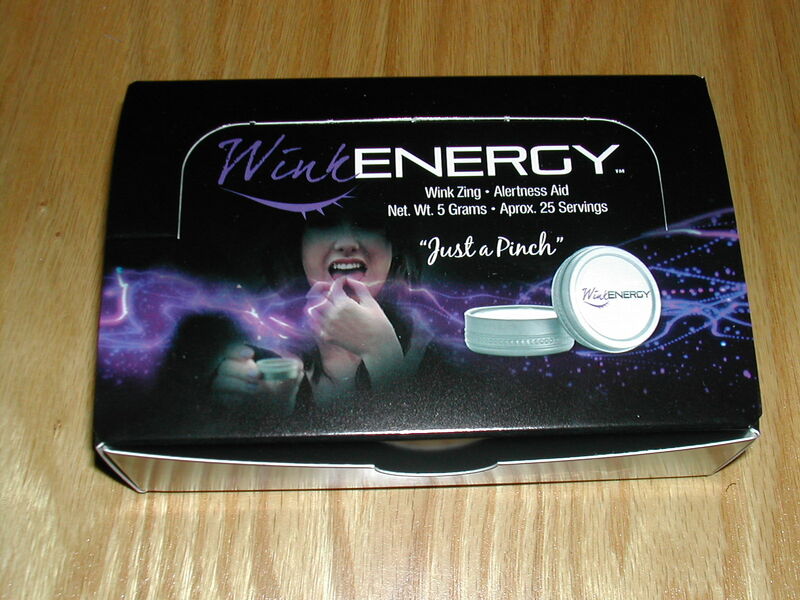 Wink ZingTM was developed as a convenient canister of mint flavored product that may naturally enable an individual to renew their energetic momentum and stay alert and motivated in their tasks. "Come alive after FIVE!" This product contains an amazing herb called HYDROCOTYLE and is combined with caffeine, in a tiny but effective combination. We find a "pinch" of Wink products last for a short duration of about 20 minutes to one half hour. Some people find that the "alert" can last for up to an hour, and others (particularly heavy coffee drinkers) find the effect to be as short as ten minutes. One of the remarkable aspects is that there is no "crash" of any kind that has been reported with Wink usage. Convenient for selling at your retail location or for giving out to friends and family as gifts. This box has a top that opens into a display box and containes 12 individual containers of Wink ZingTM. For those of you who know you will be selling Wink ZingTM at your retail location. If you are a reseller and wish to carry Wink ZingTM for your store, please call us at 702-493-6636 for wholesale pricing.